Have you noticed that your ears are starting to ring? A lot? Or, are you suddenly getting lots of aches and pains in your body, and it isn’t because you just finished a month-long binge of CrossFit, or experienced sudden physical trauma? If you are, you just may be experiencing symptoms of ascension! Many of my patients have recently been expressing things like, “What is up with my ears? My ears were ringing so much and so loudly, I couldn’t even get to sleep last night!” Then they get their ears checked, get a clean bill of health from their doctor, and begin to ruminate that there is some deep systemic issue that is going on. There could be more truth in that rumination than you know! Though, not in a bad way. Ascension is basically an upleveling process our physical, emotional, and energetic bodies go through, where we awaken into our higher consciousness. Our vibrational frequency heightens, and we realize that we are unlimited beings. And, operate as such. Because of this, we then begin to understand how truly connected we are. Not only to ourselves, but to ourselves as part of the whole. Our interconnectedness. And, even our intergalacticness. And, we also begin to understand our relationship to the Universe, and how we are an extension of Source Energy. We, as the collective consciousness, are experiencing this together, though everyone has their own time frame of how it shows up for them, and how they experience their journey. And, it doesn’t matter what age you are, we’re all in this together. Although, I’ve definitely noticed that people are awakening much earlier nowadays than present and past generations! One 10-year-old I had the pleasure of treating recently is evidence of that. I was told he has ADD, and is not taking any medications. However, from what I see, he’s just really one very tapped in individual whose awakening he doesn’t yet understand, and hadn’t received context around. I’m talking being very aware of past life trauma effecting his present situations, remembering his past lives, seeing things and beings that others cannot physically see, and feeling fear based on external stimuli (for him the alarms that go off in his neighborhood trigger deep fears that his parents might get killed), which are triggers of the past life trauma he’s experienced. He even used to have night terrors where he dreamt his parents were being killed by dinosaurs, and he was witnessing it. “Yes, exactly! The Force,” I confirmed. When I told him that he had the power to make scary energies and people go away by calling in his angelic reinforcements, that he was lucky because he actually has lucid dreaming, and, thus, could literally fly out of dangerous dreams, and take his parents with him, and explained that he could heal his past by sending healing to those times in his life that made him sad, since time is not linear, he totally got it. It was easy for me to explain all this to him, because he hadn’t accumulated all the mental clutter we adults tend to amass. For adults, the process of getting from “A to B” can be quickly tainted with past disappointments, heartbreaks, and recently perceived failures. So, sometimes, releasing our pain on the deep energetic level can take some time. Hint: all it takes is a conscious mental shift, with follow through (sometimes regularly, if you’re turning it into a new habit), and the tainted experience can be cleared. How quickly we evolve is completely up to us, and no one else. Allow your heart to open. Are you willing to allow yourself to release your emotional and energetic garbage? Are you willing to give yourself permission to open your heart? If your answer to these questions is a genuine and emphatic, “Yes!”, then don’t be surprised if you start actually releasing your excess baggage. Because if that’s what your soul wants, that intention is all you need to get more aligned on your path. Even though my young patient was physically active during the Reiki session, he appeared to feel more understood on deeper levels, which seemed to bring a sense of calm within him. The next time I saw him, he said that he did indeed feel calmer, and that when the alarms go off, he knows they’re just alarms. I had the feeling he’d sent healing to his past lives, and was able to ground himself in what is actually happening in this life. His mother expressed that he was calmer, is able to concentrate better, and is getting better grades. Ear ringing, including increased frequency or volume in ear ringing. In Chinese Medicine, high-pitched ear ringing is related to the Liver energy, and low-pitched ear ringing is related to the Kidney energy. This may or may not be related to the ear ringing you are experiencing as you ascend. Body aches and pains not rooted in physical trauma. The limbs may feel heavy, and/or your back, joints, muscles, or entire body may feel suddenly and overwhelmingly achy. This can include feeling like you are having flu or cold symptoms, but goes away without actually escalating. Frequent headaches and sensations like pinpricks, warmth, or tingling. This is your Crown Chakra getting more connected to Source. Changes in sleep patterns, especially having interrupted sleep or bouts of insomnia, or waking at around 3-5am. This time happens to be the Lung time in Chinese Medicine, and the Lungs are all about grief and letting go, which is appropriate considering what your body is detoxing and integrating! Changes in eating patterns, diet, and appetite, including, but not limited to sudden cravings or aversion to certain foods, and having unexplained weight loss or gain. Sudden food intolerances and sensitivities. This also includes sudden chemical sensitivities. Feeling overwhelmed by emotions, with lots of easy crying. Feeling intense sensations, pulsations, movement, spasms, or electrical charges shooting through your body. Sudden but intense and temporary skin issues, such as rashes, hives, acne, psoriasis, and skin tingling. Check out my blog post, “Skin Conditions And The Process of Ascension” where I talk about this a bit more. Changes in seeing, feeling, smelling, and hearing. Your “clairs” – clairvoyance, clairaudience, clairsentience, or claircognizance may heighten, as well. 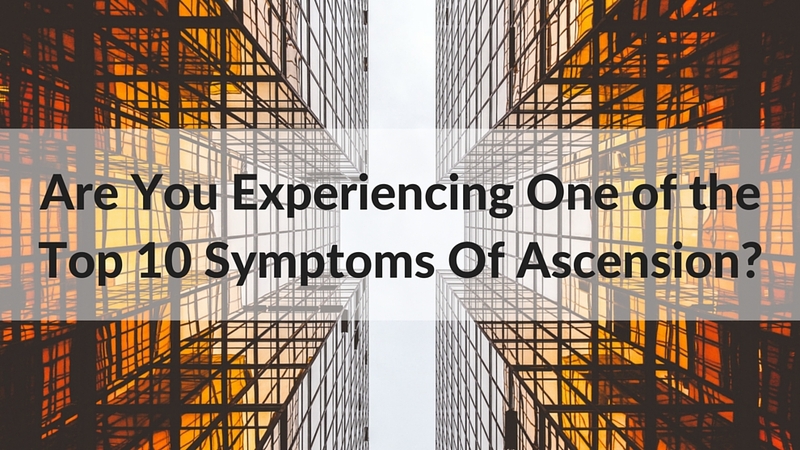 There are many other symptoms we experience as we ascend, but the above are the more common ones that I’ve witnessed, in myself and others. And, of course, it’s always good to get things checked out by a medical professional if you are concerned about your health, to rule out any dis-ease! Stop fighting yourself. Trying to fight and halt our energetic alignment towards ascension is like telling your Higher Self, Spirit Guides, Angels, Ancestors, and Source that you know better. Make sense? Of course not! But, this is actually what we are saying when trying to halt our natural progression. It will only make things harder on yourself. Choose ease. Practice renegade self-care. Check this out for some great self-care tips. Take yourself out of fear state. Fear is a powerful illusion, that is meant to keep us safe and small. Ultimately, it is not truth. Take yourself out of fear and back into your heart. Some tips on this is in my blog post, “How To Break Through Fear And More Greatly Align With Your Authentic Self“. Trust your process. This is somewhat tied to the first tip. Although easier said than done, actually surrendering yourself to the pain you are experiencing, and giving it up to Source/Universe/God/dess/Power That Be, will take the load off. You may even feel some relief. Ascension is not a condemnation of your existence, but a liberation of it! What ascension symptoms have you been experiencing? Over the last year or so I’ve felt like I’ve recieved synchronicities and signs that I should follow my dream because it is my life’s purpose. It’s fairly big, especially for someone like me who s afraid of change and socially inept. It seems I have failed at every attempt to make a difference. When I was 17 I dated this guy, and he shattered my heart. During the healing process (about 3 years), I recieved “signs” that we were meant to be together. Clearly I was wrong. He never cared for me and the man I am with now (for the past 7 years) is undeniably my life partner. I am meant to be with him, not my ex. So how do I know whether these signs I’ve recieved about my “higher purpose” are the real deal, when clearly I was just delusional in thinking my ex and I belonged together? What if these beliefs that I can achieve such a monumental dream are just more delusions? My faith in my ability to accomplish this goal wavers. Sometimes I KNOW I can do it and other times I think I’m just crazy; that the Universe isn’t what I thought it was, and that I am just an ugly, terrible, nobody person. The Universe loves to work with us when we set an intention, and start making tiny steps towards it, cultivating trust. Check out my articles, “Manifesting 101: How To Place Your Order In The Cosmic Kitchen And Get Served!” and “How To Tell The Difference Between Intuition And When It’s Just Your Ego Talking”. Also, watch “The Secret”. And also, using loving words towards yourself will go a long way! Oh, yes, sounds like you’re experiencing some ascension action! Good on you for simplifying your schedule, to make room for your needs and what nourishes you. You can always get checked out by a medical professional to rule out any concerns, but I would trust your instincts. If you feel that you are experiencing a lot of internal upgrades to your light body, then that is what is likely happening. As for the shift in eyesight, it could be you getting older, but if it doesn’t run in the family, or the eyesight shift is dramatic, again you could see an eye doctor to get things ruled out, but changes in seeing is also a symptom of ascension, especially if you are also seeing pinpricks of light, or noticing that your inner vision is shifting as a result. To know if you are, you will either have a sense that this is happening, particularly if it is happening outside of any medical diagnosis, and you’re also noticing a heightening of intuitive abilities. When does it shift? It’s always shifting! If you are feeling it strongly for the first time, it will get easier. The initial awakening is often the most startling, since you’re getting a grasp of what’s happening. The good news is that you are upgrading and aligning constantly now, into the highest version of yourself! The one you are meant to radiate into the world. And, becoming more in touch with the most powerful aspects of yourself, as well as a heightening of your abilities. Greater joy, greater light in your life, greater expansion, and limitlessness of your being. Hi Margarita. I went through a thorough spiritual awakening about 7 years ago, and am experiencing what may be ascension symptoms now. Medical professionals have ruled out disease–except for a few blips, I’m quite healthy. 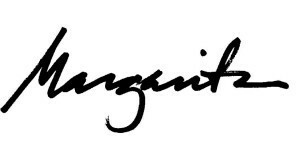 I do have chronic tinnitis though–so it has been greatly pronounced these past 3-4 weeks, along with vertigo, (supported by meds), tingling and waves of heat throughout my body and spine, sleepiness (just cant get enough!) lightheadedness, tremors, brain fog, fleeting aches and pains(nothing major), decreased and/or increased appetite, the weight gain shpeel–all of it, so it seems, and perhaps a meditation visit by Quan Yin. Is this for real? thank you!